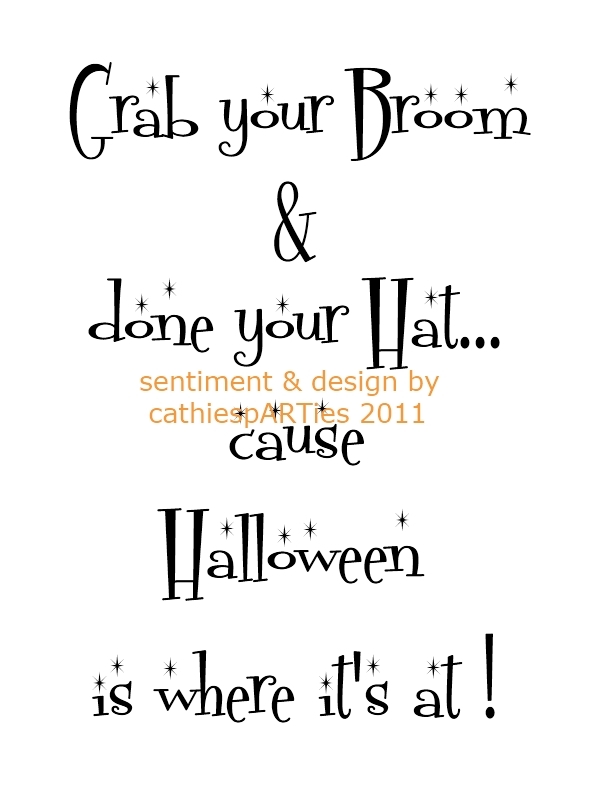 I came up with this design & sentiment for a specific HALLOWEEN card clip art design this year. It's suitable for YOUR Handmade Cards too! Just leave a request & include your email in the comment box below this post & I will email you a copy (with watermark removed) for your personal use. PERSONAL USE ONLY! DO NOT COPY, SELL, USE IN THE CREATION OF YOUR OWN CLIP ART/PRODUCTS FOR SALE. DO NOT CLAIM THESE IMAGES AS YOUR OWN WORK IN PUBLICATION, GROUPS OR FORUMS, CARD CHALLENGES/SWAPS ETC. PLEASE GIVE FULL CREDIT TO cathiespARTies. You can share a direct link on/in your blog/group/forum back to my blog for those who wish to have their own copy to use for personal use. Thank You! 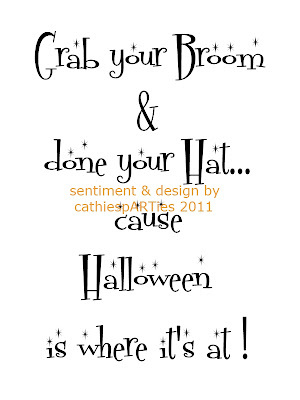 Use it on cards, tags, TRICK OR TREAT bags, etc.